Through the years, we’ve been fortunate to meet inspiring runners with truly incredible experiences and compelling stories. One consistent theme we’ve seen is the willingness of so many to run for the benefit of others, which is why we chose to honor those runners this year. With the support of our partners at Aiello Home Services, we look forward to recognizing these inspiring people that contribute so positively to the people and communities around us. Spy has overcome life-changing obstacles to achieve success in the running world, and has consistently given back to his community. 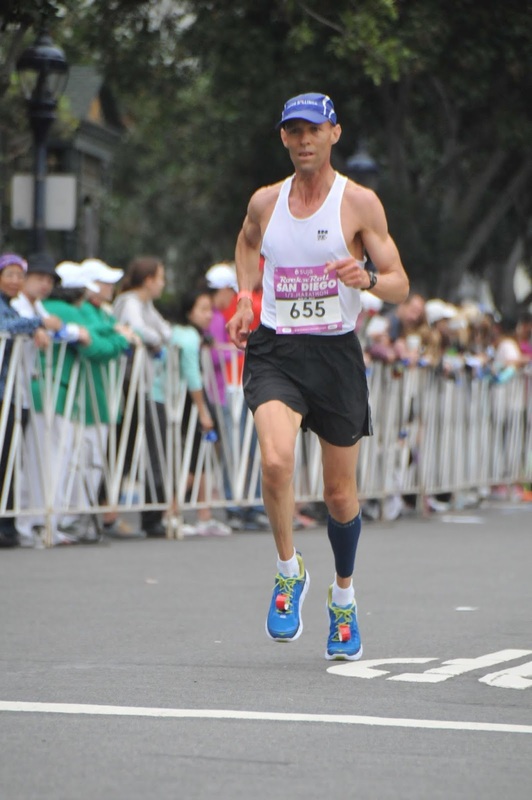 After a decade-long battle with Crohn’s Disease and life-altering surgery, Spy continued running to become the Masters 50-54 national champion in the marathon, half marathon and 10K. He has become an advocate for people living with ostomies, speaking openly and leading by example to live a full life, train and compete as a national class runner living with an ileostomy. What Spy does after he crosses the finish line is just as inspirational – he typically hands off his prizes to slower runners and donates prize money to charity. A committed wife and mother on a mission to regain her speed after rigorous chemotherapy, Carleen never lets cancer get the best of her. 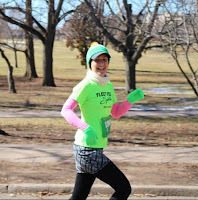 When diagnosed 4 years ago she was given a very poor prognosis - today she is training for her second consecutive Hartford Half Marathon. Carleen continues to fight with a smile on her face, raising awareness and money for cancer research while continuing volunteer work in her community and at her children’s school. As the first female and youngest mayor elected in East Haven, April did everything in her ability to support her hometown community – from improving town finances and supporting community development to holding her constituents needs above all else. In 2010, April truly went above and beyond when she donated her kidney to a constituent in need. 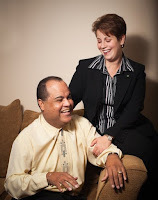 Today both she and her recipient, Carlos, are happy and healthy and share their story to help inspire others. Kathleen is the strong and courageous mother of Gabby, an endearing girl who lost her battle to cancer in 2012. Despite her limitations, Gabby could always light up a room with her smile. She spent summers at Camp Rising Sun, where she and many other children enjoyed life as kids, not kids with cancer. 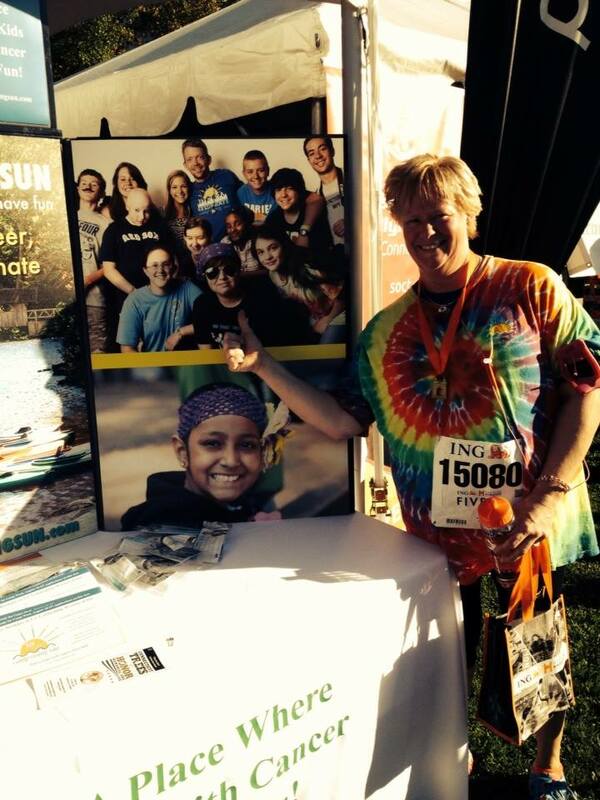 Since Gabby’s passing, Kathleen has participated in the Hartford 5K annually to raise money in honor of her daughter. She also joined the camp as a counselor where she sees firsthand how important the camp community is to children like Gabby. In 2013, Paul was involved in a motorcycle accident that almost cost his life, but he was determined to fight and to continue his passion for running. 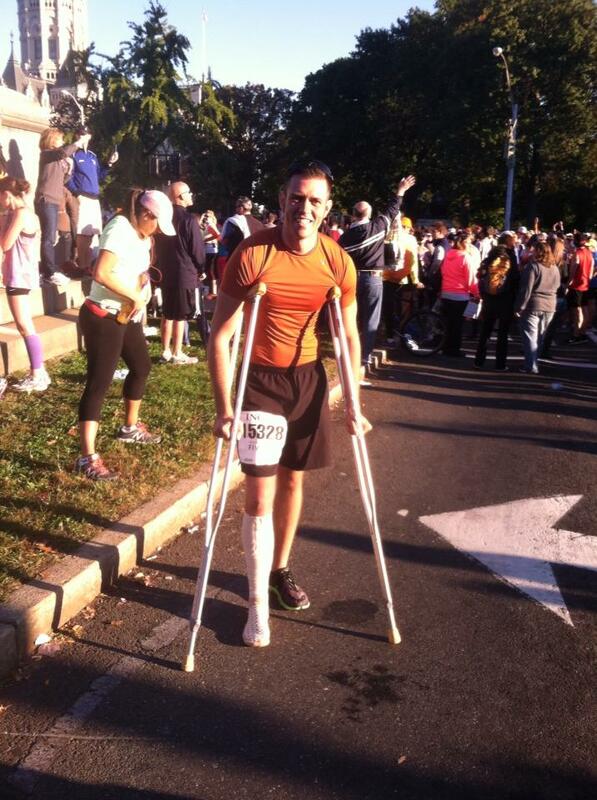 Paul worked with his doctors and never gave up on racing, even participating in several 5K on crutches. Despite his own battles, Paul is equally determined to give back to others. At his recent wedding, the ceremony included presentations from 3 charities for guests to make donations to in lieu of wedding gifts. Following diagnoses of Type 2 diabetes, Sharlene began running to improve her health for herself, her children and her family. 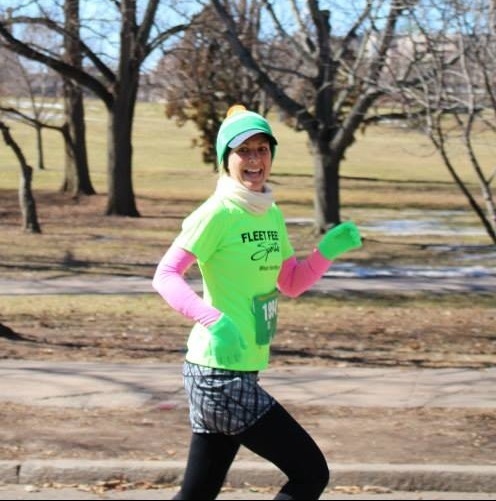 Through running, she also grew stronger and became a better role model in her work on behalf of children and adults affected by domestic violence. Sharlene continues to run and encourage others to turn their lives around. As a result of a gambling addiction, Adam experienced financial hardship while simultaneously dealing with a significant health problem. Through the guidance of a supporter, Adam found running and was able to regain his health and turn his life around. Today, Adam strives to help others in need use running as therapy; he co-founded the Run 169 Towns Society and began work as a guide for disabled athletes through Achilles International. In 1987, Sharon planted her family tree in the small town of Marlborough and has dedicated her time and efforts to bettering her community. 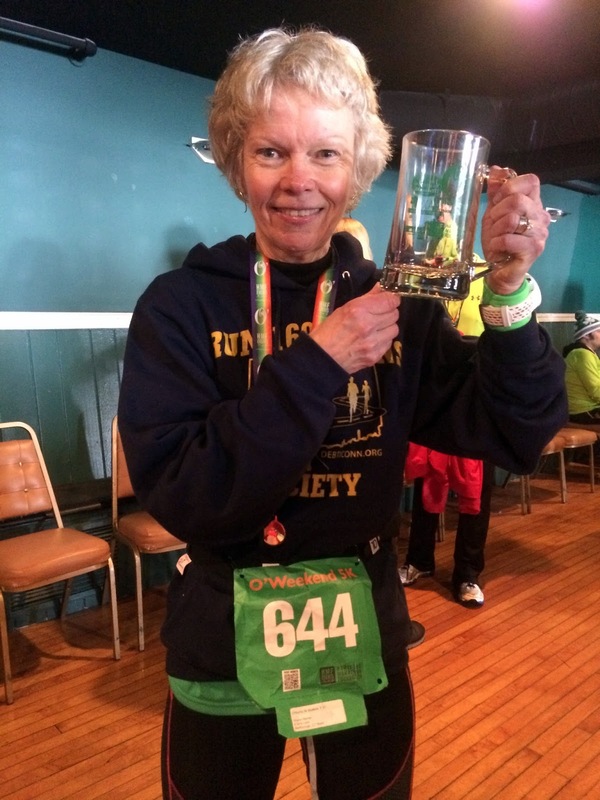 Despite experiencing an aneurysm at the finish line of the 2014 O’Niantic 5K and almost losing her life, Sharon remained a dedicated runner and continued to give back to the community that has given so much to her. When needs arise in Marlborough, she is always there to step up. As principal at Macdonough Elementary, Jon has gone above and beyond to promote healthy lifestyles for all of his students. 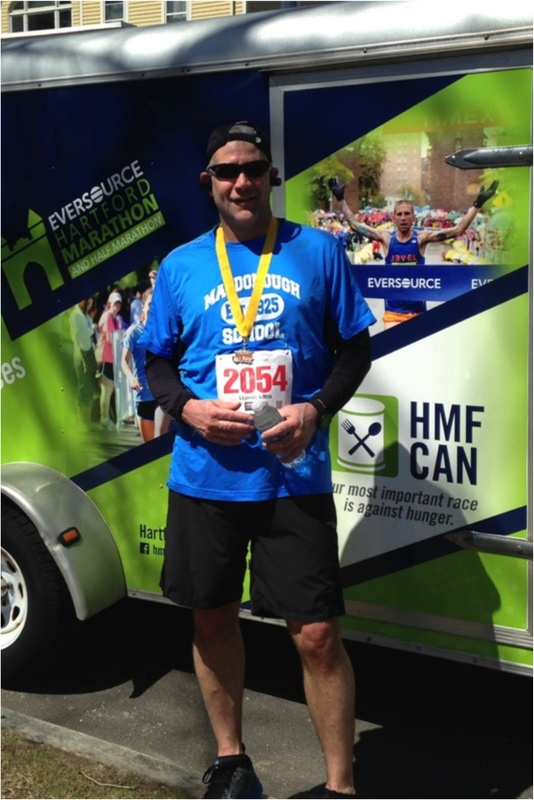 Under Jon’s guidance, many students have achieved numerous running accomplishments, such as progressively running a marathon through HMF FitKids in School and completing a half marathon relay with Jeff’s Running Partners. Not only does he inspire students to get active, but he has also encouraged a number of teachers to take up running. Jon continues to push others to achieve their goals in school and as a guide for Achilles International. As President of Achilles International Connecticut Chapter, Erin’s hard work and determination results in athletes with disabilities participating in road races, duathlons and triathlons throughout Connecticut and New England. She has done this work while recovering from a traumatic brain injury, which would have sidelined most people. The mother of 3 became an Achilles athlete herself and has inspired many other athletes, who rely on guides to support them. She has given so many disabled athletes hope and the possibility to achieve their race goals.